Are you looking for a beautiful straight smile without the head gear and braces? Invisalign could be the answer for you. Invisalign is a series of custom retainers that are used to straighten your teeth into that beautiful smile you desire. Invisalign (Invisible braces) - our advanced understanding of occlusion and cosmetic design combines to guide each patient to a beautiful smile. We do not do traditional braces with wires and brackets. Bite evaluation before your orthodontist removes your braces. We also offer Invisalign Teen. 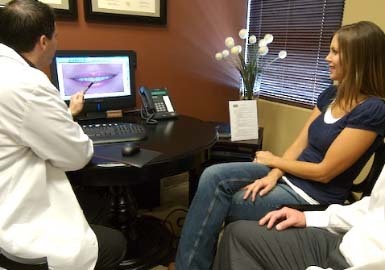 We have a strong working relationship with the best orthodontists in Las Vegas if your needs exceed the scope of treatment our office delivers.